TIRANA – RYCO Local Branch Officer in Albania Mr Kreshnik Loka took part today in the meeting Albanian Youth & EU Integration: From Hope to Disappointment? organized today in Tirana. The meeting gathered young people with the aim of informing and discussing their perception of the EU integration process of Albania. The open meeting welcomed two speakers Advisor to the Minister for Europe and Foreign Affairs of Albania Ms Klodiana Beshku and Mr Loka. Ms Beshku gave a general framework of the EU integration process of Albania, what is the current state of art and what to expect from the next European Commission Report on Albania. She highlighted that the young people should be well informed on the process and singled out a number of platforms for consultations with the citizens launched by the Albanian Government. “The information is out there and young people should be proactive in getting it”, Ms Beshku said. Mr Loka stated that the emphasis should be put on the political education of young people and principles of active citizenship. This can be achieved as a joint effort of public institutions and the civil society, he said and highlighted the importance of RYCO in the process, as one of the mechanisms mentioned by the EU in the Six Flagship Initiatives to Support the Transformation of the Western Balkans. “Young people should be in the first line of the integration process as they will be the ones living in the European future”, Mr Loka underlined. Through its programs, RYCO is offering opportunities to young people for traveling across the Western Balkan, network, raise capacities, and therefore create a stronger and united social-economic region. 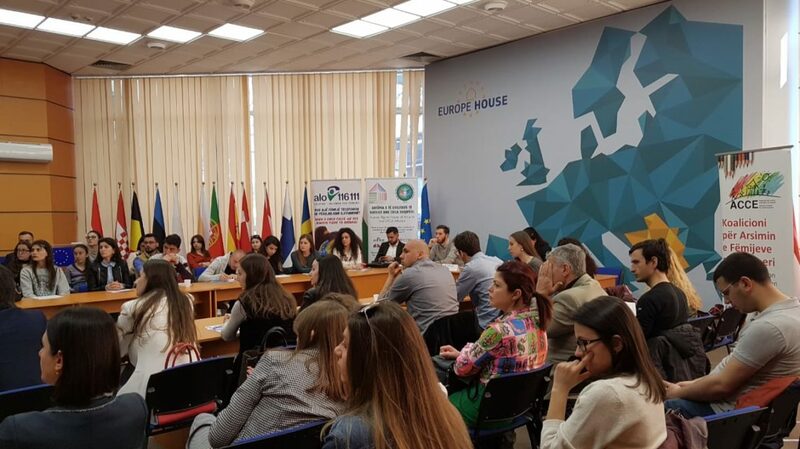 The meeting was organized by Child & Youth Policy Hub Albania and Albanian National Youth Network with the support of Albanian Coalition for Education.